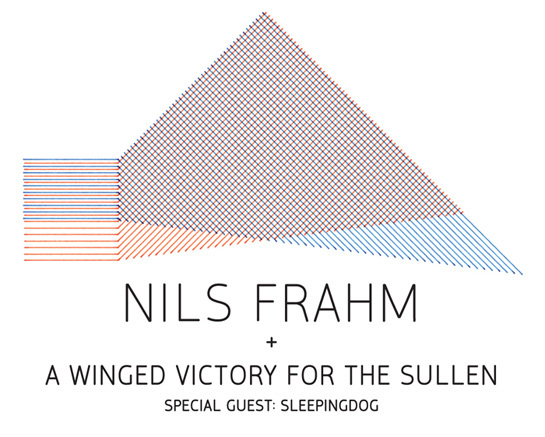 Berlin-based pianist Nils Frahm is already a firebrand in the modern classical world, collaborating with contemporaries such as Peter Broderick, Ólafur Arnalds and Anne Müller. Renowned pianist Dustin O’Halloran and Adam Wiltzie of Stars Of The Lid team up for A Winged Victory For The Sullen forming harmonic and melancholic soundscapes between chamber music, ambient and minimal. We are dead proud to present them together with our friends at Erased Tapes Records on 21 November in a special setting at one of the most beautiful venues in Beriln. What a start!